I’ve been mind-crushing on David Niu ever since I met him. He told me the story of how, a few years back, he was feeling burned out so he quit life. He bought one-way tickets for himself, his wife and their 11 month old, and off they flew to explore the world. On their round-the-world trip, David interviewed entrepreneurs and learned all kinds of cool stuff — he mainly learned how they think about culture, leadership and management. He captured it all in his book, Careercation: Trading Briefcase for Suitcase to Find Entrepreneurial Happiness. A guy who blends travel, leadership and all that’s in between. Then, he writes it down for us to read. ‘Nuf said. It’s obvious why I’m mind-crushing on him! 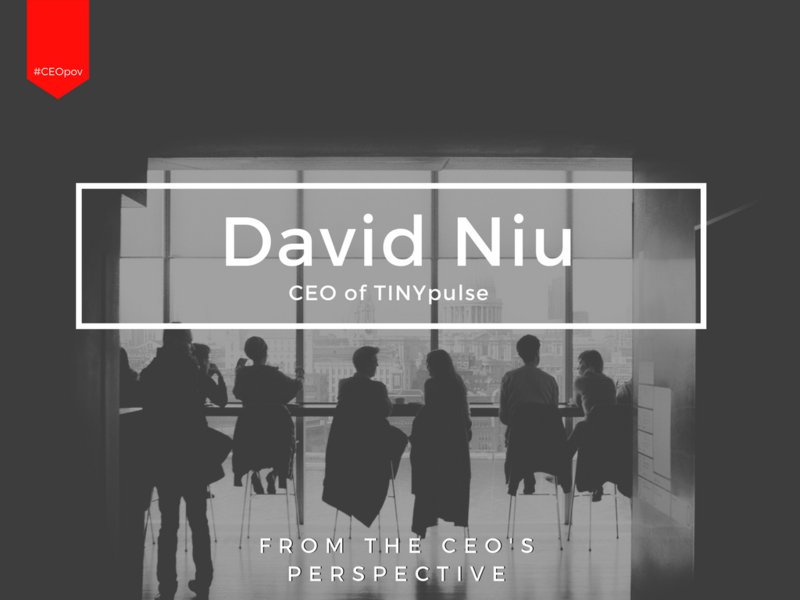 Here’a a little more about David and his work with TINYpulse. Read the PSBJ version. Funding: $9.5 million from Baseline Ventures, Arthur Ventures with participation from Varenne Partners, Harrison Metal, High Alpha Capital and other investors. David Niu is the Founder and CEO of TINYpulse, which makes software that companies use to poll their employees and gauge how happy they are with their workplaces. The Seattle company has 90 employees and has been hiring aggressively. Niu’s company, which was founded in 2012, recently raised $6 million to “top off the gas-tank” while the economy is strong. TINYpulse gives away 1 percent of its profits to nonprofits and 1 percent to the Entrepreneurs Organization, which helps startup founders. Plus, TINYpulse’s employees donate 1 percent of their time each year volunteering. The idea is really about practicing what you preach – TINYpulse helps other companies keep employees happy, so Niu feels strongly about keeping his own workers smiling. You moved around a lot during your childhood. What do you think that taught you? I was born in Taiwan and immigrated to the U.S. when I was 2 years old. My dad was a petroleum engineer, so we moved a lot. I mostly, I grew up in Texas and Oklahoma. Moving so much forced me to learn quickly how to make new friends and navigate new surroundings. What was your earliest leadership memory as a kid? When I was 10 years old, I played forward on a soccer team. 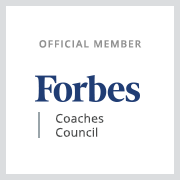 One of the leadership lessons that stands out was when I made a comment to a team member that only skilled players are in front – the rest play positions in the back. That didn’t come off well. The lesson didn’t hit me until I was older. On a team, everyone plays a role. We win and lose as a team. What’s surprised you most about the data on employee happiness? Two things. One of the top reasons that determines how happy employees are is their perception of how transparently management communicates. That surprised me. I thought it would be pay or career advancement, but it turns out it isn’t something that costs the company more money. Second, there’s an old adage that says “people don’t quit their job, they quit their boss.” I think that’s changed. They quit their peers. With the rise of millennials in the workforce – who are more socially oriented and used to connecting – it becomes more about satisfaction with the people they work with rather than who they work for. How do you see the workforce changing over the next five years? With the rise in demand for transparency, companies like (employer rating site) Glassdoor are here to stay. This forces companies to be more accountable to their workforce. When people look for jobs, they look at a company’s Glassdoor rating, LinkedIn and Twitter to gauge the accountability of the leadership. What was the defining moment in your career? Ever since I was a young adult I set goals for myself. I thought about it in the same way that soldiers get their stripes on their uniform and get promoted. Like you do well in high school and then go to college. Then you get a job, and then you get your MBA. I felt like getting the MBA stripe was a rock that gave me the ability to take chances in life. I felt I could do anything I wanted. Describe the first time you failed as a leader? Oh, there are a lot to choose from. It started at NetConversions. We called our MBAs Management By Accident because we made so many mistakes. During the dot com bubble, when the company was running out of money – we thought “let’s go raise more money,” which you can do when there’s a lot of money flowing. But that taught me real revenue does not come by raising more money. It comes from creating something delightful for the customer, who is willing to part with hard-earned money because they see the value. Delighting the customer is our number one value. What are your pet peeves? I really dislike people who are passive aggressive. Just tell me in the moment when something bugs you. One of our company values is improve communication by being direct and transparent. Who is a local leader who you admire and why? Microsoft CEO Satya Nadella. He came behind the two huge shadows of Steve Ballmer and Bill Gates, but he staked out his own path and showed humility. When he came in as CEO, he showed he cared about listening to customers and people. He seemed to have an inner-sense of what he wanted to do – and showed courage. It feels like the culture is changing at Microsoft. I have friends who work there, and it seems like the drudgery is lessening. The stock is doing better and there’s more hope because they have a leader willing to show them the way. Teri Citterman is a contributing writer for the Puget Sound Business Journal.